Tom Jones '64 grew up in Belhaven, North Carolina. His father, Theodore Jones, managed the Belhaven Fish amp; Oyster Co., which was owned by Capt. Clyde R. Potter. Capt.Potter's daughter, Gwendolyn, was a professor in the business school at East Carolina University, then known as East Carolina College, and it was long understood that Tom would attend school there, too. Tom met and began dating his wife, Wanda, at East Carolina. He 'pinned' Wanda in front of the iconic Wright Circle and the couple married in 1963. Tom's plan to teach high school chemistry changed during his junior year, when two of his favorite chemistry professors, Drs. Leland Stewart and Joseph LeConte, convinced him to pursue a doctorate so he could teach at the collegiate level. Dr. LeConte introduced Tom to Emory University chemistry professor Dr. Leon Mandell, who was the guest lecturer at a seminar they attended. Tom was so impressed by Dr. Mandell that he applied to Emory, was accepted and four years later earned his doctorate from there in organic chemistry. Tom enjoyed overseeing pre-med students and undergraduates but he also had a desire to practice industrial research, and in 1968, was hired at Lorillard Tobacco Co. in Greensboro. His Lorillard experience allowed him to explore different parts of the company, including basic research, product development (both domestic and international), manufacturing and marketing. Tom worked at Lorillard for 33 years before retiring in 2001. Over the years, Tom and Wanda have continued to support East Carolina for the opportunities afforded to them by their alma mater. 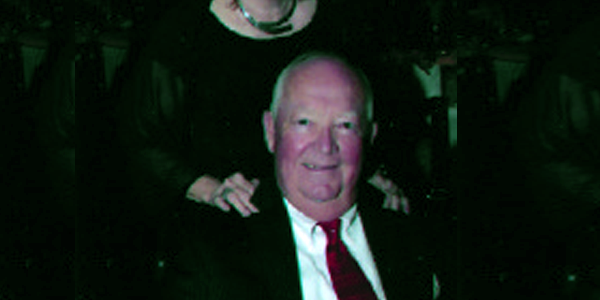 After reading about how they could make a tax-free contribution from their individual retirement account, and with the help of East Carolina advancement staff and Dr. Keith Holmes, Wanda and Tom decided to use IRA funds to establish the Dr. S. Thomas and Wanda A. Jones Endowment Scholarship Fund. The couple believed it to be advantageous to create an endowed fund to ensure a faster growth rate for the fund. Though the Joneses have retired to Florida, Tom and Wanda stay connected to ECU through publications, friends, relatives, and the occasional walk on campus. They also keep up with Pirates Athletics as the teams regularly make the sports pages and TV in Florida. Tom and Wanda take great pride in East Carolina's continued growth and accomplishments. As natives of eastern North Carolina, they are particularly aware of the positive impact the university continues to provide to the region and are happy to give something back.